Saturday, March 5, 2011 at 11:37pm. CubeSpace is an innovative workspace community in Portland, Oregon. We provide work stations, meeting rooms, and big office amenities to people who would otherwise be working from their homes, coffee shops, or wherever they can set up their laptops or use their cell phones. Our services are available on a monthly membership basis, or at hourly or daily rates. Please join us in wishing David, Eva and the the rest of the CubeSpace team as they begin a new chapter in their lives. This is a BYO event - bring food, drink, and good wishes for the entire CubeSpace crew. A culture’s penchant for participation is not dictated by technology; rather it is the result of changes in human behavior and social organization including innovative design, adoption, appropriation, and adaptation of technologies. Gerhard will share his experiences designing and assessing socio-technical environments for cultures of participation. His approach is grounded in the basic assumption that innovative technological developments are necessary for participation cultures, but they are not sufficient. Socio-technical systems are needed because the deep and enduring changes of societies are not just technological, but social and cultural as well. Throughout the evening, Gerhard will encourage the audience to explore two themes: meta-design (a framework aimed at defining social and technical infrastructures in which new forms of collaborative design can take place) and social creativity (focused on harnessing the complex problem-solving power of our interactions with other people and shared artifacts). Program followed by questions from 7 - 9 pm. We will meet for CHIFOOd, our traditional no-host dinner and chat session, at La Merde at Bistro Montage -- 301 SE Morrison (directly under the Morrison bridge) between 5 and 6:30 pm. Meetings are on the last Wednesday of the month at 7pm, at CubeSpace. NOTE: This is a new meeting date, due to too many conflicts on our previous second-Wednesday meetings. We'll go around the table to introduce ourselves and mention what we're working on or what we're interested in. Then, the floor will be open to anyone with a 10-minute demo or presentation topic. We'll also have a general Q&A discussion. A projector and wifi will be available. Join us for a discussion and presentation on putting DVCS to work. We'll cover Mercurial, git, bzr, darcs, getting started quickly with code hosting services, patch review tools and more! Open Source Bridge is hosting another town hall meeting on Tuesday, April 21, 2009 at 7 PM at CubeSpace (located at 622 SE Grand Avenue in Portland). As always, anyone interested in furthering the mission of Open Source Bridge is invited. We plan to share what we have accomplished so far and strategize together on completing the growing list of tasks to be accomplished in order to make this conference the stunning success we all want it to be. If you have a laptop handy, please bring it along. Ideally laptops should be set up with Firefox running Firebug. It's time to come out from behind your desk or easel and meet your audience. In this hands-on workshop, you'll learn 10 essential tips for making powerful presentations whether it's to a client, your staff, or an auditorium of strangers. Discover how to give talks or readings that serve your audience and present your message with confidence and ease. Small business owners: Learn how to write your own marketing copy: blogs, newsletters, emails and more. Write it Rich! Tips for Reluctant Writers is a 1-day, 2-hour workshop that teaches you how to organize your thoughts, pick a key message, and write DREAMY copy. Great for folks in the service industry, and anyone who wants to brush up on their writing skills. Class size limited to 10. Registration, pre-payment required. $65 per person. Contact Susan Rich for payment info. We'll be discussing your favorite WordPress tips and tricks. Aaron Hockley of Hockley Photography fame will be kicking things off with his favorites and then we'll open it up to everybody. Bring your best and share with the group! We realize we can't be the only people in the Portland tech community who still need to do our taxes, so we're holding a tax party. Come to CubeSpace, bring your tax forms, get things done. We're attempting to get some people who know what they're talking about to answer questions. Bring food, beer, and stronger libations to share. Passover is among the best-known of the Jewish holidays. It is a time when family and friends gather together for a ritual meal. The Haggadah, the text used in the seder (structured meal) explicitly encourages the invitation of "strangers." And many Jews (David and myself included) take Passover as an opportunity to bring Jews and non-Jews together for discussion and food (food is very important). We would like to invite members (in the broadest sense) of the CubeSpace community to the second CubeSpace Passover Seder. There are no minimum knowledge requirements to attend. Questions are encouraged and families are welcome. The seder will be on Thursday, April 9th, beginning at 5pm. Adults are $10/person, children under 12 are $5/person and children under 2 are free. Food will be kosher for Passover by ingredient, but we will not have special Passover plates. The seder will be vegetarian-friendly, and we will do our best to accommodate special diets for those that pre-register. For more information, please email [email protected]. Ticket Info: Adults are $10/person, children under 12 are $5/person and children under 2 are free. We'll also have more Beer and Blog buttons to pass out. They're beeutiful. The Portland Portland Python User Group meets every second Tuesday at CubeSpace in SE Portland, Oregon. Aaron Hockley (http://www.hockleyphoto.com/) is doing a CubeSpace photo shoot, and we want your help! We will provide Voodoo Donuts and Coffee, you just need to fill our space. Sounds easy, right? And anyone who shows up while Aaron is still taking pictures gets a free daypass @CubeSpace. Not enough to convince you? The Wii (with RockBand 2 and World of Goo) will be available before and after the photoshoot. We have our first official ORBlogs Code Sprint scheduled, March 7th, 11am, at CubeSpace! Thanks to CubeSpace for donating the space. If you can, please bring a little cash donation to cover the cost of snacks and drinks n stuff. We pretty much have space for the whole day, but I figure we can probably be heading out around 4ish. Then we can celebrate our first Code Sprint, and all the great progress we'll have made! Coming Soon: Agenda and final Issues List for the sprint. Bring a laptop if possible. We'll be pair programming, so be prepared for that. Communit.as is an open source web application that provides a foundation for building custom community and social network sites. At long last, we're launching the beta version and we're having a party to celebrate. There will be snacks, drinks, a demo and a Q&A session with the developers. Come join us! UPDATE: We've changed the date from Feburary 19th to February 26th so we don't conflict with Ignite Portland 5. Hold the date! for an introduction to the Trust the Vote! project. OSU's Open Source Lab (OSL) and Portland Open Source Entrepreneurs (POSSE) welcome the Open Source Digital Voting Foundation's founders and exciting project to Oregon. Discover this imperative "public digital works project" of the Open Source Digital Voting Foundation. The OSDV Foundation is a Silicon Valley based public benefits corporation whose mission is to work to restore trust in how America votes through the design, development, and demonstration of open source digital voting technology. Join us to learn details about the "TrustTheVote Project," a well funded non-profit effort which has been under the radar for 2 years. The OSDV Foundation is now raising public awareness, and expanding efforts including a planned development center in Portland, Oregon. o Cover plans to expand the volunteer developer teams, future opportunities for senior members of technical staff, and opportunities for you to get involved. Open Source Bridge Conference content committee meeting. Meetings are on the second Wednesday of the month at 7pm, at CubeSpace, in the "Agora" room. Can a community design its own digital habitat? Can a professional design a habitat on behalf of a community? Designing for a community is much harder than designing for a solitary individual. A digital habitat includes all the tools and the practices that enable a community to work and reproduce itself. It’s produced collectively, even though it’s experienced individually. This talk will explore how digital habitats vary across different contexts such as a company intranet, a mostly face-to-face community like CHIFOO, and a mostly online community like Planet Ubuntu. We’ll discuss some case studies of communities and the evolution of their digital habitats, exploring fundamental design tensions, kinds of tool integration, and the nature of technology stewardship. Program followed by questions and answers, and the rafffle. CHIFOO is the Computer-Human Interaction Forum of Oregon. We are the local chapter of the ACM, the Association of Computing Machinery's Special Interest Group devoted to computer usability. We usually meet the first Wed. of the month at Cubespace, but always check the schedule at chifoo.org..
Machine Learning (John Melesky) has been postponed until the March meeting. Carolynn Duncan (@hundreddollar) will discuss bootstrapping and web business. Bring your questions, ideas and experiences. This is a quick-start class for experienced developers that want to get started on the iPhone platform. The mission of PDX Critique is to provide a monthly forum for designers of any stripe (graphic, web, whatever) to crawl out of their work void to share information and constructive criticism. Have something you want critiqued? Contact us via the google group or on the blog. Please note that this meeting is by invite only and is intended for people currently managing online communities. If you would like to attend, you should request to join the Google Group with a description of the community you currently manage. The Online Community Managers PDX Group brings together Portland-area community managers--the folks on community/social networking sites that may responsible for any combination of content development, editing, posting, troubleshooting, developing campaigns, overseeing activities, providing forum moderation, offering encouragement, answering queries, etc.--to share insights, challenges and funny stories with each other on a monthly basis. We meet the third (3rd) Wednesday of each month. [Full details at http://upcoming.yahoo.com/event/1492082/ ] So you've decided to incorporate a blog into your marketing, you're ready to make the leap, but you're stalled at execution. How do you build a blog? What elements and features does a blog have? What's an RSS feed for and how do you burn it? How do you promote your blog? This hands-on, practical workshop will answer these and other questions to help you launch a successful blog. Please RSVP to peterk[at]semiosiscommunications.com. Bring a wi-fi enabled laptop to get the most interactive experience. Bring you favorite breakfast food, starting with a "B" or an "O" to share at the CubeSpace Inaugural Breakfast. @chefchopper will be making Blintzes to order (so bring Blitz-fillings as well). No RSVP required and this event is open to anyone wanting to hang with community for this historic event. Geeks Day On is a day of service in honor of Martin Luther King, Jr Day when folks with technology and Internet communication skills will offer advice and assistance to nonprofit organizations and open source projects. Visit http://dayon.org for more information. Portland loves blogging, and Portland loves WordPress. With so many great bloggers in the area using the WordPress platform, I'm excited to announce the first meeting of the Portland WordPress User Group. Where/When: Thursday, January 15th from 6:00-7:30pm at CubeSpace. Come join us and let's kick off what is sure to be a fun and helpful group. Join us while we simultaneously pat our heads and rub our Holiday-fortified bellies... oh, and there will also be Pythonic discussion. As usual, there will most likely also be beverage consumption following the meeting, at one of the nearby beverage consumption establishments. Do you have a particular topic you'd like to talk about this month? We'd love to hear it! Contact one of us organizing types and we'll get it listed here. Other possible topics: - What's new in Ruby 1.9.1? - What's new in Rails 2.2? - ...and more! Are you a non-profit or someone who works with them? A non-profit looking for affordable consultants or vendors? A volunteer looking an organization eager for your time? A non-profit wanting to partner on a project? If so, then non-profit networking is for you. Come meet others who work and volunteer in Portland's non-profit sector. Swap resources, share ideas, devise solutions and just hang out with community-minded people like yourself. Bring your brains and your rolodex; we provide snacks and drinks. Come ring in the festive season with CubeSpace! On December 11, from 4 to 8 p.m., we'll be opening our doors to begin the merriment. With games (both video and board), crafts (origami and tree-decorating), hot and cold beverages, and some snacks to munch on, the celebration should be as raucous or laid-back as you want to make it. Last December, many of the local software developer User Groups banded together and had a party (instead of the regular meetings). It was known as the Winter Coders Social. In August, we had a Summer Coder's Social as the outdoor and sunny successor! Now, we're having a second Winter Coders' Social. Good and geeky times will be had by all. Come join us. Bring yourself, games if you have them, and a dish to share. Fun: We'll be playing games, like last year, so bring 'em! There will be a programming competition! Any language welcome, no particular toolkits or api skills necessary. These'll be problems that just require thought. If enough of you are interested and bring a language that you're only vaguely familiar with, we'll have a separate league for language newbies. Prizes? Bragging rights! Plus a surprise or two. Come get started planning Ignite Portland 5. The event will be on February 19, so it's coming up soon. CyborgCamp is a simulcast unconference about the future of the relationship between humans and technology. We'll discuss topics such as social media, design, code, inventions, web 2.0, twitter, the future of communication, cyborg technology, anthropology, psychology, and philosophy. CyborgCamp's aim is to have many communication channels such as Twitter, Flickr, UstreamTV, Video and Audio recordings and live chats displayed on the screen. In this way, the conference attendees can exist in three places at once -- Vancouver, Portland, and Cyberspace. Half of the conference will be organized BarCamp style, and the other half will have structured experts on various topics. Classrooms, individuals and businesses are encouraged to attend the event remotely. It will be livestreamed through multiple channels and will be archived and tagged for future viewing. Details on remote conference access will be available a week before the conference begins. What is a cyborg? A cyborg (shorthand for “cybernetic organism”) is a symbiotic fusion of human and machine. Join in our pre-conference discussion and help organize the event at http://www.cyborgcamp.org and faster updates on Twitter at http://www.twitter.com/cyborgcamp. CyborgCamp is open to sponsors. We're interested in cutting edge companies or non-profits who are interested in education/technological development. Please E-mail [email protected] if you or your organization/business is interested in this. Your logo will be added to any paper brochures, the website, and will be included in live Twitter streams during the event. Once again it is time for our annual Day after Thanksgiving Day movie marathon. Share your leftovers, indulge in cheesy dialogue, and hang with people you are not related to (although friends and family are welcome). What else would you do? Go to Tashi station to pick up some power converters? Details to be given for WordIgniteBarCampCampCampCampPalooza… PDX at IGNITE PORTLAND 4 on November 13th. That's all we can say for now, but... you do not want to miss this. Are you a non-profit or someone who works with them? A volunteer looking an organization eager for your time? A non-profit wanting to partner on a project?A non-profit looking for affordable consultants or vendors? If so, then non-profit networking is for you. Come meet others who work and volunteer in Portland's non-profit sector. Swap resources, share ideas, devise solutions and just hang out with community-minded people like yourself. Bring your brains and your rolodex; we provide snacks and drinks. Thursday, November 20th from 6:00-8:00pm. *This is a regular event that happens every third Thursday of the month. 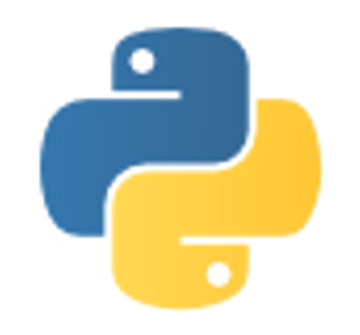 The Portland Python User Group meets every second Tuesday at CubeSpace in SE Portland, Oregon. o Perhaps more of what's New in 2.6 and 3.0? We saw the demo at WordCamp, now lets get together for the grand launch of WordPress 2.7! This workshop is designed for those who are ready to start their business plan or who are in business but need to build a business plan. It covers all aspects of building a business plan including: how to get yourself organized, avoiding writers block, required content, focusing on what is important and tips on how to make your plan represent you in the best light. Although there is no one way to write a business plan, attendees will be taken through a simple structure for building their plan. In addition, participants will be exposed to business planning software that will assist them in completing the financial portions of the plan. This workshop also features break-out sessions for exploring specific topics in more detail. Jim Smith, who began his career at IBM in sales and marketing, has over thirty years of experience mentoring entrepreneurial start-ups and counseling small to mid sized companies that are looking to expand or are under performing or under capitalized. Jim brings a deep background of executive management experience. In 1993 Jim founded and remains the managing partner of YCHANGE International, a turnaround consultancy specializing in small to medium sized new businesses or existing companies looking to expand or needing a turnaround strategy. In 2005 he also started counseling clients and teaching workshops for SCORE, including business planning and internet marketing. Len worked on the Mercury, Gemini, and Apollo space programs with Honeywell, concentrating in the areas of inertial guidance systems, visual displays for astronauts, and hand controls for the Command Capsule and Lunar Excursion Module. Len moved to Control Data in 1969 as a program manager for large computer systems. In 1977 he moved to Oregon to work for Floating Point Systems, a supercomputer company, where he became Director of Engineering. From 1991 to 1998 he ran his own consulting business working with small growing hi-tech firms. Len retired in 1998 and immediately began volunteering for SCORE where he has helped numerous clients, especially in the area of detailed financial planning. To RSVP, register through SCORE's Portland website. Click on Workshops on the left panel; then register for a workshop here; then Thr Oct 30, 8:30a-4:30p, Business Plan – Your Roadmap to Success. Some possible tasks for the sprint include adding creation and editing of recurring events, improving Google Calendar compatibility, and other bug fixes and improvements. Python 2.6 has been released and 3.0 will be shortly. We'll be celebrating their releases this Tuesday with a D.I.Y. What's New party! The format is simple: pick a change or two from the What's New in Python documentation from 2.6 or 3.0 and tell us about it! You can use the projector if you want, but < 5 minutes. That's easy because most changes are small. "Removed <> (use != instead)." So easy! Find some and bring 'em to us. If you get inspired and want to share one of the few larger changes (< 10 min), check the wiki and put your name down. I'll be bringing two growlers of rare and wonderful beer from Bailey's Taproom to get the party started. Bring hardcopy of one or both What's New if you can. And party hats. Tuesday 10/14 7pm at CubeSpace. See you there! Luz is a music visualization studio, written in the beautiful and expressive Ruby programming language. Code tours. The author of Luz will step through code, explaining how things work, why they work that way, and seeking advice on how to deal with a few open issues. Tutorials. We will develop some new and needed plugins together, live. This event is primarily for Ruby programmers, or others interested in learning Ruby. We'll be in the "Roman" conference room at CubeSpace (622 SE Grand Ave., Portland OR). I'm happy to announce the third Luz Code Sprint, happening this Thursday the 18th, 5-9pm at CubeSpace. This event is open to EVERYONE, from coders to artists to musicians, everyone's input and contributions will be super useful. I'll bring all my gear for people to play with: a wacom tablet, a console with gobs of dials and knobs, a gamepad, and hopefully we'll be able to hook up to the projector. Join us this Thursday! I really hope to see you there! The seeds for 'From Side Project to Startup' were sown at a session of early May's Bar Camp Portland. The conference generated a good amount of buzz, and brought up more questions than the time could answer. On September 12 and 13, 'From Side Project to Startup' will focus on the resources, planning, and above all initiative needed to make idle thoughts, plots, plans, and what-ifs come to fruition. The event is crystallized around several 'seeded' sessions, but the BarCamp-style 'unconference' sessions led by participants are the meat-and-potatoes of the weekend. You'll notice the schedule includes a lot of 'schmooze,' snack, break and party time. With this as well as the unconference time to meet and discuss with people, it's a goal of 'From Side Project to Startup' that a network of interested startups will form to provide each other with peer support and accountability. You can do it, keep going! As always, Legion of Tech events are free to participants, so please come share, experience, and enjoy the community we're all part of. Luz is a Ruby music visualization playground, aiming to create a simple, beautiful GUI for artists, and simple, beautiful code internally! We'll have some fun inputs to play with: a wacom tablet, a console with gobs of dials and knobs, a gamepad, and hopefully we'll be able to hook up to the projector. Our September Python meeting is next week and we have a great meeting in store, including a special guest speaker! First up, our own Brett will be show us how to produce Python eggs and publish them to the Python Package Index (aka the Cheeseshop). "Django is the most popular Python web framework, and have managed to go through the hard steps of making a high quality 1.0 release. The Jython project has awaken on the last years after a dark period, and is in the road of its 2.5 release. This scenario presents the cool opportunity of exploring the use of a modern Python web framework on top of the Java infrastructure. I will talk on how to use Django under Jython, the common pitfalls on this setup, and start some discussion about what can take the Python (and Django) community from the JVM, and what advantages Django development on top of Jython propose for Java projects." Also we'll get some news from DjangoCon (this weekend, 9/6 and 9/7), have some chats, surprise door prizes and maybe more- stay tuned! And after we'll head to either the Green Dragon patio or Produce Row. I'll bring all my gear for people to use: a wacom tablet, midi controller with gobs of dials and knobs, a gamepad, and we'll hook up to the projector. Join us this Saturday! I really hope to see you there! PDX Critique meets once a month to share feedback on works in progress. Please see our website for details on how to sign up to show your work. Come help us get started planning Ignite Portland 4. We'll be going over the various roles in the planning process and hope to find a spot where you can lend your expertise. IP4 is happening November 13 at Bagdad, but the kickoff is at CubeSpace. The Portland Lunch 2.0 saga continues as we celebrate the 1st anniversary of Rick Turoczy's metamorphosis into the Silicon Florist. Come join Rick at CubeSpace to have some lunch on the Silicon Florist (not literally), mix and mingle with your fellow Portlanders, learn about the tech scene in Portland, go home or back to work happy and full. Lunch 2.0 is a Valley phenomenon that you can read about at lunch20.com, and we're putting a PDX stamp on it. Our next meeting is tomorrow, Tuesday 8/12 at 7PM in the lovely, air-conditioned CubeSpace. Up tomorrow is Python bytecode. Michel has volunteered to talk a bit about the structure of Python bytecode and show how it's processed by the interpreter. I'll show a functioning bytecode hack, plucked from my dusty bin of bad ideas. After, we'll retire to the patio at Produce Row for a beer or two on a perfect Portland summer night. What, a meeting needs an agenda? Show up and talk Ruby with us. If you'd like to present something, email the list. PDX Lunch w/ a VC-- meet with Epic Ventures & learn about VC funding. What: FOSCON is a free, fun gathering of Ruby fans held during an evening of O'Reilly's OSCON conference with cool presentations, food, discussions, and a live coding competition. Who: Anyone interested in Ruby, whether you're just curious or a seasoned pro. Where: CubeSpace, Portland, Oregon near the Oregon Convention Center (directions). When: Wednesday, July 23, 2008 from 6pm-9pm. Why: The Portland Ruby Brigade user group wants to share the joy of Ruby with you. A brief salute to the fact that it is 5:30 PM in this time zone. The next pdxfunc meeting is almost here. Unless someone jumps in at the last minute, we don't have a speaker. However, please still go to the meeting! We've had a couple speaker-less meetings and they've been great, with lots of good discussions. If there's interest, we can do some live hacking that doesn't require any preparation. For example, take turns at the notebook's keyboard and reimplement that Ruby-based "du"-like program I demoed last time that we had so much fun discussing, but this time using a "real" functional programming language. Or do some "code spelunking", taking turns digging through and discussing an interesting library for an FP language (e.g., one of Galois's open sourced Haskell contributions) and talking about how it works. We have a full-day code sprint on Saturday at CubeSpace starting at 10am and ending around 6pm—although you can come later in the day and don’t have to stay the entire time. Everyone is welcome to participate, even if you haven’t attended a code sprint before. Experience with Ruby on Rails and agile development is helpful, but you’re welcome to come even if you’re new to these because this is a great way to learn. A more in-depth follow-up to last month's meeting. We'll be revisiting Twisted, this time with code. And more WSGI using the Werkzeug toolkit. After we'll migrate to the Produce Row Cafe for Python discussions over beer, and maybe some brainstorming about organizing a Python Northwest conference here in Portland. Join us on our python.org list and on #pdxpython. All are welcome! A discussion on strategies for unit testing within an MVC framework Moxley Stratton will cover test framework architecture, model testing, controller testing, test case organization, and other techniques. Zend Framework will serve as the example MVC framework. Come see the great stuff your fellow Portlanders have been working on. Several ten minute demos of new products and side projects. Code 'n' Splode is a group of geeky people who get together on a monthly basis to talk about geeky things. We are an open, relaxed, comfortable place to come and talk about programming. The group is primarily female and generally open by invitation only. For more information, please visit pdx.codensplode.org. Come to a PDX Critique meeting. The mission of PDX Critique is to provide a monthly forum for designers of any stripe (graphic, web, whatever) to crawl out of their work void to share information and constructive criticism. If you're a designer, writer, or programmer, we could use your help in designing new UIs, writing documentation, and adding interesting features. We have two code sprints coming up: 1. Wednesday 6/18 at Backspace, from noon until it's time to leave for Ignite Portland. 2. Saturday 6/21 at CubeSpace, from 10am until 6pm, although we often end up moving to the Side Door and staying later. You do not need to stay for the entire code sprint -- stay as long as you'd like. Everyone is welcome to participate, even if you haven't attended a code sprint before. If you want to help with programming, experience with Ruby on Rails and agile development is helpful, but you're welcome to come even if you're new to these because this is a great way to learn. An introduction to branding for small businesses and nonprofits, the workshop will define a brand, deconstruct its elements, and outline the process of brand development. Workshop participants will learn to define and evaluate their organization's brand and discover low-cost methods to develop an effective brand and brand strategy. This workshop is part of the Entrepreneurial Series, and is being put on by Peter Korchnak. Cost is $20. The Portland Django user group will be joining us for a Python web and network super meeting! Join us for presentations, show & tell and lively group discussions about Python web and network frameworks, followed by beer at Produce Row & more discussion. Wanted: Pylons, TurboGears, tg2, Grok, Zope, AppEngine, orbited, Mantissa... No formal presentation required- show & tell is great, 10,000 feet or just a single feature you like or dislike. Plug in your laptop and show some code. Pizza will be provided by Vidoop! PLEASE rsvp on Meetup & help us ensure there's enough pizza for everyone. We also have some great book give-aways, courtesy of O'Reilly. Presenters get first pick, then we'll free-for-all the remainder. GoLife Mobile announces VADOWERX™, a revolutionary new Service Oriented Architecture that lets PhP and other web developers build, distribute, and monetize interconnected, personalizable, mobile applications. The VADOWERX™ ecosystem enables mobile consumers to easily discover and use a wide variety of compelling socially and contextually aware services on their phone. For example, one of our community members is actively developing an application for the Oregon swim team to provide parents with real-time meet information on their cell phones. Another partner is creating a mobile Point Of Sale solution for Latin America businesses. Using VADOWERX™, the possibilities are endless. GoLife's Founder and Chief Innovation Officer, Mounir Shita, will be presenting on VADOWERX and demonstrating how to create applications with it. Come learn more! Summary: Dynamic, multi-paradigm languages such as Ruby, Python and Perl allow programmers great flexibility in how they can write their code, although most use an imperative (AKA "procedural") style. However, using a functional style selectively can help provide clearer and shorter code, reduce bugs, and improve performance. This presentation will provide a basic overview of functional programming, sample code demonstrating how to use functional programming features of dynamic languages, compare and contrast code samples of functional and imperative styles, and discuss when each style is appropriate. No previous knowledge of functional programming is necessary. Bio: Igal Koshevoy is a Business-Technology Consultant with over a decade of experience creating sophisticated, business-critical systems using open source technologies. He is the author of an open source server automation toolkit available at "automateit.org", and supports local community efforts through Calagator, Portland Ruby Brigade, Portland Functional Programming Study Group, Legion of Tech, Ignite Portland, etc. PS: Sorry for the short notice, but Kevin's talk on XML parsing with Haskell had to be delayed. Hopefully he'll be able to present it next month. Rather than formal presentations, we plan to just go around the room sharing the “best of” what we’ve learned in the recent series of sessions, hackfests, code sprints, etc. It should be educational and fun. Join us! On May 28th, we will be opening up our newest service, Strands.com under private beta, a very early version of what we think will be something very relevant for people, very ambitious in the data portability space. We've organized a meet-up for the Portland community and would love for you to attend. can import at this time. I'd heartily invite non-programmers and those that haven't gone to many code sprints to join us for this session. You can really help us out even if you join us for part of the day. Calagator is now ready enough that we can recommend it to many additional local groups. We need to discuss how to best approach, assist and involve them. A "Guide to Calagator" article will help us explain to community leaders what Calagator is about, how it can help them, and how they can use it. It'll need to be written in plain, clear English with minimum jargon or fuss. We'll need writers. Explore how CubeSpace can help your business! Come see our office space and meeting rooms! Learn about how diverse range of business services! Meet the owners and see how we can help you. Enjoy delicious treats, personal tours, and chances to win great prizes! If you've ever wanted to check out CubeSpace, now is the perfect time! Bring your friends, your boss, your coworkers, or anyone else who might be interested. We look forward to seeing you there. Event submitted by Eventful.com on behalf of CubeSpace. Presented by: Ernest Bonat, Ph.D.
A study/user group exploring the world of functional programming based in Portland, Oregon. The group welcomes programmers interested in all functional languages, including Haskell, Erlang, OCaml, Scala, and others. The group meets regularly and provides presentations, demos and discussions applicable to all skill levels, from newbies and experts. Our bi-weekly code sprint to work on making Calagator even more awesome. The next meeting of the Portland Ruby Brigade is coming up, and this meeting’s content should be of interest to both Ruby and Python programmers. SPEAKER: Chris Anderson is the author of AppDrop, creator of Grabb.it, and founder of the independent music store Music For Dozens. * SortableColumns: A Rails gem/plugin for easing the pain of creating sortable HTML tables. SUMMARY: SortableColumns uses flexible YAML config files to specify the nature of the columns in an HTML table. It can be used with any ActiveRecord result set (works with custom SQL fields) and multiple data-set definitions can be specified per model. Currently supports plain HTML tables or it can be used with the YUI4Rails gem/plugin to easily create YUI DataTables. You can see a demo of the library at sortablecolumns.heroku.com/ and get the Gem from rubyforge.org/projects/sortablecolumns/ . Bryan can also talk about his limited experience with the Heroku application hosting service if there is interest. [Full details at http://upcoming.yahoo.com/event/416809/ ] Code 'n' Splode is a group of geeky people who get together on a monthly basis to talk about geeky things. We are an open, relaxed, comfortable place to come and talk about programming. The group is primarily female and generally open by invitation only. [Full details at http://upcoming.yahoo.com/event/416805/ ] Are you a non-profit or someone who works with them? A non-profit looking for affordable consultants or vendors? A volunteer looking an organization eager for your time? A non-profit wanting to partner on a project? If so, then non-profit networking is for you. Come meet others who work and volunteer in Portland's non-profit sector. Swap resources, share ideas, devise solutions and just hang out with community-minded people like yourself. Bring your brains and your rolodex; we provide snacks and drinks. [Full details at http://upcoming.yahoo.com/event/416827/ ] We invite you to spend an afternoon with us at CubeSpace for a networking event and seminar designed to show how you can profit from your subscription to the Portland Business Journal. Each month we host a seminar where we teach you how to identify industry trends, reach decision makers and grow your business by reading our paper - all while enjoying networking with other leaders of the Portland Business Community. You will learn: * Techniques for finding what you need from the Portland Business Journal in less than a half-hour a week. * Business information to help you achieve your sales goals. * How to recognize sales leads within news stories and features. * Specific actions you can take to warm up cold leads. * How to use this information to support your networking efforts. * PROFIT from every issue! We host the meetings from 3:30pm - 5:00pm every third Tuesday of the month at CubeSpace. The August session is Tuesday, August 21st, 2007. The seminar begins promptly at 3:30pm. The seminar sells out at 40 attendees. Once this month's seminar sells out we will post the next month's event. Event Contact: Please contact Bill Berninger at 503-274-8733 with any questions. Once again we'll meet to work on making Calagator the best calendar aggregator ever. Socialize with other Python programming enthusiasts, check out presentations on Pythonic topics, maybe participate in a code sprint or two, possibly work on projects and provide mutual technical support. We've recently re-formed the Portland Python group thanks to interest built up on Meetup and through the efforts of Brad Allen. It's still very early days- please help us spread the word that Portland Python is back! [Full details at http://upcoming.yahoo.com/event/416801/ ] The Women's Networking Group is a friendly, informal group of women who meet regularly to socialize, promote their businesses or non-profits, seek employment, collaborate, ask questions and trade leads. The group is a mix of core members and newcomers, a combination which fosters intimacy while still staying fresh. Our members represent a wide range of professions, from voice coaches and jewelry designers to real estate brokers and medical professionals. WNG is also a great opportunity to build business partnerships. The group has given birth to several smaller collaborative projects, from fashion shows to financial advice workshops, and we encourage cooperation among individual members. WNG meetings generally take place twice a month, with one meeting happening at CubeSpace (622 SE Grand Ave.) and the other being hosted in the home of a WNG member. Cost is $18. Dinner and beverages are provided. Pre-registration and pre-payment are strongly encouraged; we do limit attendance to 20 women. In an effort to provide the maximum benefit to everyone concerned, we ask for 48 hours' notice if a pre-registered woman needs to cancel; this allows us to fill her slot. Barring emergencies, if you need to cancel on shorter notice than 48 hours, you will still be charged. This mini code sprint is for fixing minor bugs, adding quick features, managing the ticket queue, etc. [Full details at http://upcoming.yahoo.com/event/416815/ ] Portland Ruby Brigade is a gathering of Ruby programmers in the Portland, Oregon, area. Event Contact: Consult http://www.pdxruby.org/ for more information. [Full details at http://upcoming.yahoo.com/event/416785/ ] This weekly event, open to everyone, is a chance to exercise your writing muscles each week. Using a word or phrase as a prompt, we all write for 10-20 minutes, then read our work aloud. After everyone has read, we do it again, then again, for two hours. We do not critique each other's work, but we do listen and provide recall. Curious? Come join us! Starupalooza is an interactive forum for the tech startup community. The event features discussions, presentations, demonstrations and networking allowing participants to share, learn and connect in a candid, no-BS environment. ATTENTION: RSVP's are capped for this event. We just use these RSVP's to guage probable attendance- it does not guarantee admission, and not RSVP'ing doesn't mean you wont get in. Admission is on a first come basis so show up early if you want to get in. [Full details at http://upcoming.yahoo.com/event/349225/ ] ATTENTION: RSVP's are capped for this event. We just use these RSVP's to guage probable attendance- it does not guarantee admission, and not RSVP'ing doesn't mean you wont get in. Admission is on a first come basis so show up early if you want to get in. ________________________________________________ Starupalooza is an interactive forum for the tech startup community. The event features discussions, presentations, demonstrations and networking allowing participants to share, learn and connect in a candid, no-BS environment. [Full details at http://upcoming.yahoo.com/event/416797/ ] Come knit with us! The CubeSpace staff is riddled with creative knitters; on Wednesdays we'd love you to join in the fun. Show off your current project, ask for advice on a problem area, or just enjoy the company. Crocheters, needlepoint artists and other crafters always welcome! [Full details at http://upcoming.yahoo.com/event/416807/ ] Code 'n' Splode is a group of geeky people who get together on a monthly basis to talk about geeky things. We are an open, relaxed, comfortable place to come and talk about programming. The group is primarily female and generally open by invitation only. [Full details at http://upcoming.yahoo.com/event/416784/ ] This weekly event, open to everyone, is a chance to exercise your writing muscles each week. Using a word or phrase as a prompt, we all write for 10-20 minutes, then read our work aloud. After everyone has read, we do it again, then again, for two hours. We do not critique each other's work, but we do listen and provide recall. Curious? Come join us! [Full details at http://upcoming.yahoo.com/event/416803/ ] Are you a non-profit or someone who works with them? A non-profit looking for affordable consultants or vendors? A volunteer looking an organization eager for your time? A non-profit wanting to partner on a project? If so, then non-profit networking is for you. Come meet others who work and volunteer in Portland's non-profit sector. Swap resources, share ideas, devise solutions and just hang out with community-minded people like yourself. Bring your brains and your rolodex; we provide snacks and drinks. [Full details at http://upcoming.yahoo.com/event/416795/ ] Come knit with us! The CubeSpace staff is riddled with creative knitters; on Wednesdays we'd love you to join in the fun. Show off your current project, ask for advice on a problem area, or just enjoy the company. Crocheters, needlepoint artists and other crafters always welcome! [Full details at http://upcoming.yahoo.com/event/416825/ ] We invite you to spend an afternoon with us at CubeSpace for a networking event and seminar designed to show how you can profit from your subscription to the Portland Business Journal. Each month we host a seminar where we teach you how to identify industry trends, reach decision makers and grow your business by reading our paper - all while enjoying networking with other leaders of the Portland Business Community. You will learn: * Techniques for finding what you need from the Portland Business Journal in less than a half-hour a week. * Business information to help you achieve your sales goals. * How to recognize sales leads within news stories and features. * Specific actions you can take to warm up cold leads. * How to use this information to support your networking efforts. * PROFIT from every issue! We host the meetings from 3:30pm - 5:00pm every third Tuesday of the month at CubeSpace. The August session is Tuesday, August 21st, 2007. The seminar begins promptly at 3:30pm. The seminar sells out at 40 attendees. Once this month's seminar sells out we will post the next month's event. Event Contact: Please contact Bill Berninger at 503-274-8733 with any questions. [Full details at http://upcoming.yahoo.com/event/416783/ ] This weekly event, open to everyone, is a chance to exercise your writing muscles each week. Using a word or phrase as a prompt, we all write for 10-20 minutes, then read our work aloud. After everyone has read, we do it again, then again, for two hours. We do not critique each other's work, but we do listen and provide recall. Curious? Come join us! Calagator is an all-volunteer, open-source project to develop a calendar aggregation system for the Portland technical community. We're making lots of progress, so please join us in the effort. For further details about the project, see calagator.org. We'll doing another code sprint to work on the project this Saturday, 10am to 6pm at CubeSpace. We usually meet in the FlexSpace (also the place where the Ruby Brigade meetings usually are), but the friendly front desk staff will tell you where to go if you're not sure. Everyone is welcome to participate, even if you haven't attended a code sprint before. Experience with Ruby on Rails and agile development is helpful, but you're welcome to come even if you're new to these because this is a great way to learn. You do not have to come to the entire event, so swing by if you have time -- and if you drop in and we're not there, you'll probably find us eating lunch at the "Side Door" bar/restaurant a few blocks away. [Full details at http://upcoming.yahoo.com/event/416794/ ] Come knit with us! The CubeSpace staff is riddled with creative knitters; on Wednesdays we'd love you to join in the fun. Show off your current project, ask for advice on a problem area, or just enjoy the company. Crocheters, needlepoint artists and other crafters always welcome! [Full details at http://upcoming.yahoo.com/event/416818/ ] Socialize with other Python programming enthusiasts, check out presentations on Pythonic topics, maybe participate in a code sprint or two, possibly work on projects and provide mutual technical support. We've recently re-formed the Portland Python group thanks to interest built up on Meetup and through the efforts of Brad Allen. It's still very early days- please help us spread the word that Portland Python is back! [Full details at http://upcoming.yahoo.com/event/416799/ ] The Women's Networking Group is a friendly, informal group of women who meet regularly to socialize, promote their businesses or non-profits, seek employment, collaborate, ask questions and trade leads. The group is a mix of core members and newcomers, a combination which fosters intimacy while still staying fresh. Our members represent a wide range of professions, from voice coaches and jewelry designers to real estate brokers and medical professionals. WNG is also a great opportunity to build business partnerships. The group has given birth to several smaller collaborative projects, from fashion shows to financial advice workshops, and we encourage cooperation among individual members. WNG meetings generally take place twice a month, with one meeting happening at CubeSpace (622 SE Grand Ave.) and the other being hosted in the home of a WNG member. Cost is $18. Dinner and beverages are provided. Pre-registration and pre-payment are strongly encouraged; we do limit attendance to 20 women. In an effort to provide the maximum benefit to everyone concerned, we ask for 48 hours' notice if a pre-registered woman needs to cancel; this allows us to fill her slot. Barring emergencies, if you need to cancel on shorter notice than 48 hours, you will still be charged. Abstract: Dr. Massey will discuss and demonstrate a Haskell implementation of a WAVE file I/O library and compressor-limiter application that he's been working on. He'll also talk about why he chose Haskell to do this. Speaker: Dr. Bart Massey teaches Computer Science at Portland State University, focusing on open source software engineering and artificial intelligence. He's the current Secretary of the X.org Board of Directors, co-author of the Nickle open source programming language, and spent many years as the faculty advisor the Portland State Aerospace Society that builds open source sounding rockets. We'll spend the rest of the meeting doing open discussion, talking about projects, technical challenges, recent developments, etc. It's a good group with a lot of varied experience, so there won't be any shortage of interesting discussion. Don Stewart, who gave the group's first presentation, recently announced that the Haskell-based xmonad tiling window manager he helps write is now one year old (http://www.haskell.org/pipermail/xmonad/2008-March/005021.html) and the "Real World Haskell" book that he, Bryan O'Sullivan and John Goerzen are writing has released some new draft chapters for previewing (http://book.realworldhaskell.org/). Congratulations, Don! Anyway, see you at the meeting! [Full details at http://upcoming.yahoo.com/event/416781/ ] This weekly event, open to everyone, is a chance to exercise your writing muscles each week. Using a word or phrase as a prompt, we all write for 10-20 minutes, then read our work aloud. After everyone has read, we do it again, then again, for two hours. We do not critique each other's work, but we do listen and provide recall. Curious? Come join us! [Full details at http://upcoming.yahoo.com/event/416793/ ] Come knit with us! The CubeSpace staff is riddled with creative knitters; on Wednesdays we'd love you to join in the fun. Show off your current project, ask for advice on a problem area, or just enjoy the company. Crocheters, needlepoint artists and other crafters always welcome! [Full details at http://upcoming.yahoo.com/event/416813/ ] Portland Ruby Brigade is a gathering of Ruby programmers in the Portland, Oregon, area. Event Contact: Consult http://www.pdxruby.org/ for more information. [Full details at http://upcoming.yahoo.com/event/416779/ ] This weekly event, open to everyone, is a chance to exercise your writing muscles each week. Using a word or phrase as a prompt, we all write for 10-20 minutes, then read our work aloud. After everyone has read, we do it again, then again, for two hours. We do not critique each other's work, but we do listen and provide recall. Curious? Come join us! Come help build the Calagator! The February monthly meeting has been rescheduled to avoid conflicting with Ignite Portland. The new meeting will be on Thursday the 7th. Our next codesprint will be on February 2, 2008, 10pm-6pm. We’ll meet at Cubespace, 622 SE Grand Ave, Portland, OR. Join us to work on Calagator, yay! Event originally set for 12/25, changed to Jan 9 before initial export.